This 19-member band is one of the greatest swing bands of all time, popular for its sweet sounds, harmonious vocals, and smooth arrangements. Fancy Nancy and her friends Bree, Rhonda, Wanda, and Lionel are going to be performing in their very first show, "Deep Sea Dances." Nancy is positive, that's fancy for 100 percent sure, that she and Bree will be picked to be mermaids. When another girl wins the coveted role of the mermaid, Nancy is stuck playing a dreary, dull tree. Can Nancy bring fancy flair to her role, even though it isn't the one she wanted? 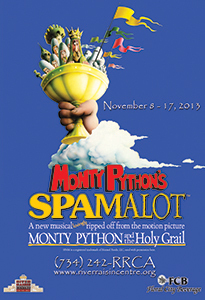 Lovingly ripped off from the classic film comedy Monty Python and the Holy Grail, Spamalot is a new musical telling the legendary tale of King Arthur and his Knights of the Round Table. Tony Kenny, Ireland's Premier Entertainer, and his all-star cast will have you singing, clapping, and laughing from beginning to end and is sure to be the perfect way to celebrate the Christmas season. 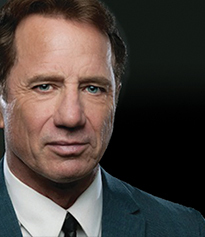 Evoking the spirit of the New York supper club era and the cool vibe of the Mad Men days, this Tony Award nominated star of stage, screen, and TV (Best known as Luke Duke on Dukes of Hazard) swings into Monroe with his take on the Great American Songbook Classics. 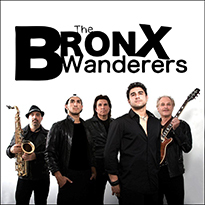 His rich baritone and natural sense of swing are a perfect fit for such popular favorites as But Not for Me and Over the Rainbow, as well as contemporary songs of Paul Simon, Bruce Springsteen, James Taylor and more. 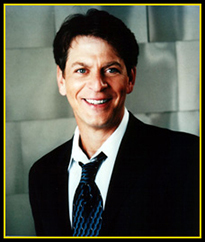 Celebrate Valentine's Day with the son of the legendary Mel Torme. A classic crooner with a contemporary edge, Steve March Torme, along with a full band will entertain you with music from Rodgers & Hammerstein, Stevie Wonder, Jerome Kern, Johnny Mercer, the Gershwins, original songs and personal stories from his never boring life. 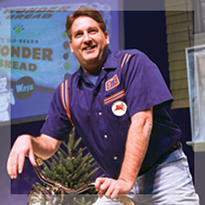 A salute to the Baby Boomer Generation, The Wonder Bread Years is a fast-paced, hilarious production that gracefully walks the line between stand-up and theater. 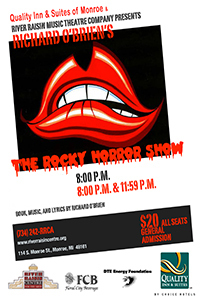 Take a trip down Memory Lane in this fast-paced and fun-filled show. 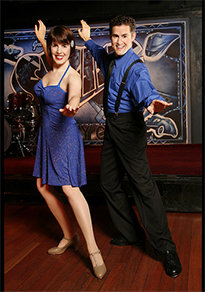 Classic songs by Gershwin, Mercer, Berlin and other Tin Pan Alley songwriters bring audiences back in time, taking a fresh look at the exciting lost art form of duo song-and-dance. 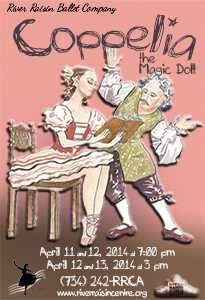 Full of humor, mystery and romance, Coppelia is the story of a life-size doll that magically comes to life. 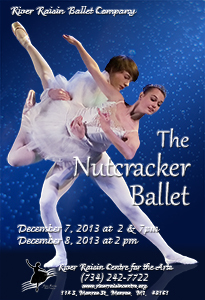 With a beautifully engaging score and beautiful costumes, you'll be whisked away to a doll maker's workshop. Coppelia remains a jubilant and engaging classic for the whole family. See why CBS Detroit voted us as, "One of the best places to see ballet in Detroit." Quite possibly the best two hours of 50's, 60's and 70's rock n' roll that you will experience on one stage. This is not so much a show about the mere soundtrack of an era as it is about recreating the intensity of the dreamers who dared to produce and perform it.